The Tudor period represents what has invariably become known as the golden age in English music. Chamber Choir Ireland, under Artistic Director, Paul Hillier, presents a programme of Tudor music focusing on some of the best known church music of the time centered around the larger works of William Byrd’s Mass for 4 voices and Thomas Tallis’ Lamentations of Jeremiah interspersed with motets and anthems by Gibbons, Tallis, Morley and Taverner. 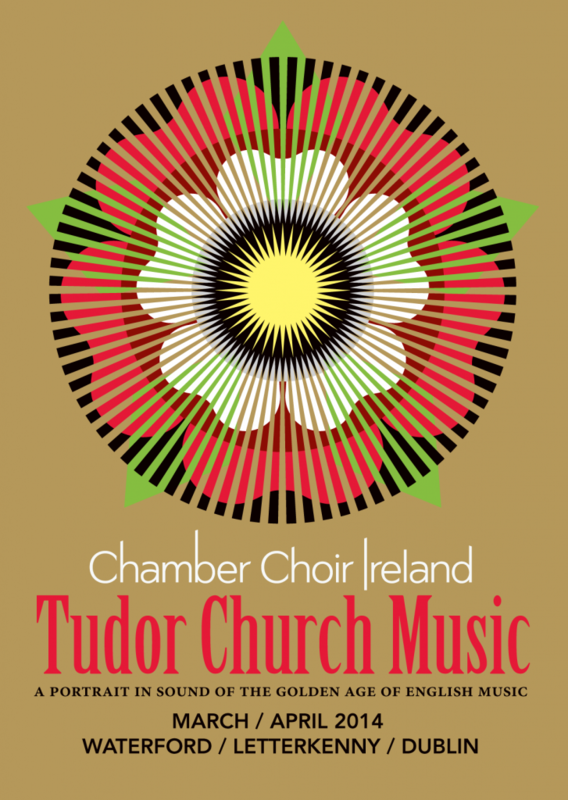 Visiting Waterford, Letterkenny, and our home base at the National Concert Hall, Dublin, members of Chamber Choir Ireland will also provide workshops for local choirs in Waterford and Letterkenny. The final performance in Dublin is presented on Good Friday in collaboration with the RTÉ National Symphony Orchestra in advance of the Orchestra’s all-Bach concert including the Easter and Ascension Oratorios with the RTÉ Philharmonic Choir and Soloists. This tour is funded by the Arts Council Touring and Dissemination of Work Scheme.